The Elbphilharmonie is as much a piece of art as it is a building: it combines innovative architecture with a prominent location, outstanding acoustics and a visionary concert programme in the HafenCity quarter of Hamburg, Germany, on the Grasbrook peninsula of the Elbe River. 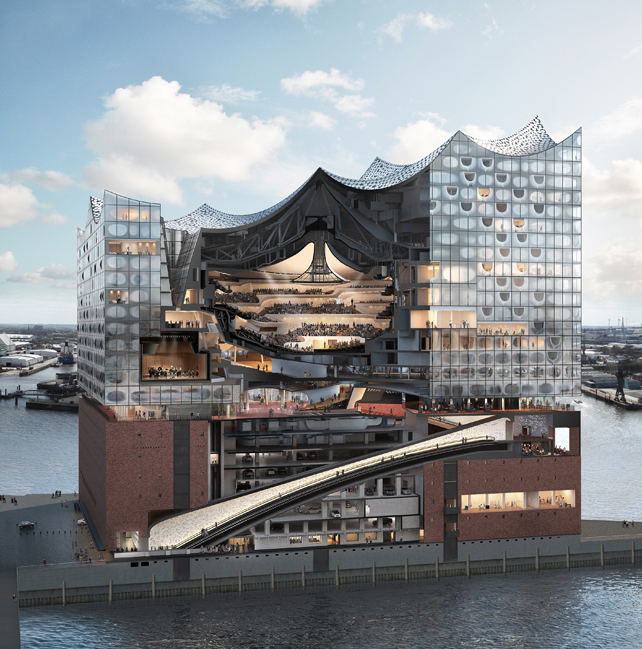 The centrepiece of the Elbphilharmonie is also currently one of the most exciting structural projects in Europe: a world-class concert hall that is detached from the rest of the building for soundproofing reasons, and one of the most acoustically advanced spaces in the world. This modern building, which publicly opened in January 2017, houses three world-class concert halls, a hotel, 45 private apartments and the Plaza, a public viewing area with a 360° view of the city. Hamburg; Elbphilharmonie. Image: Michael ZapfWith its impressive glass facade and wave-like rooftop, the structure rises up from the former Kaispeicher building on the western tip of the HafenCity. Between the old warehouse and the glass structure is the Plaza - a public viewing area that extends around the whole building. 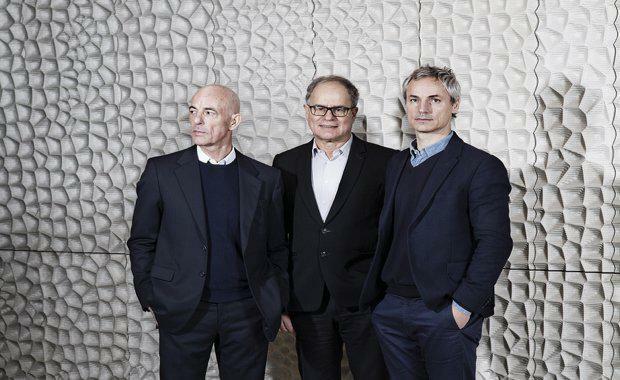 The architects: Herzog & de Meuron. 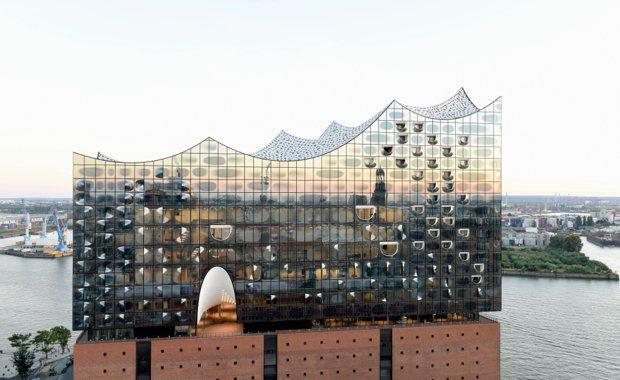 Image: Michael ZapfThe defining feature of the Elbphilharmonie: 1,000 curved window panels, tailor-made to capture and reflect the colour of the sky, the sun’s rays, the water and the city, turn the concert hall into a gigantic crystal. The glass facades in the loggias of the apartments and concert foyers are especially striking: with their boldly convex form they resemble huge tuning forks. The Elbphilharmonie is located in the historic Sandtorhafen, which was Hamburg’s old working harbour for centuries. The Kaiserspeicher, Hamburg’s biggest warehouse on the water, was built in 1875. Destroyed in the Second World War, it was then rebuilt and renamed Kaispeicher. Cocoa, tobacco and tea was stored here until the 1990s. 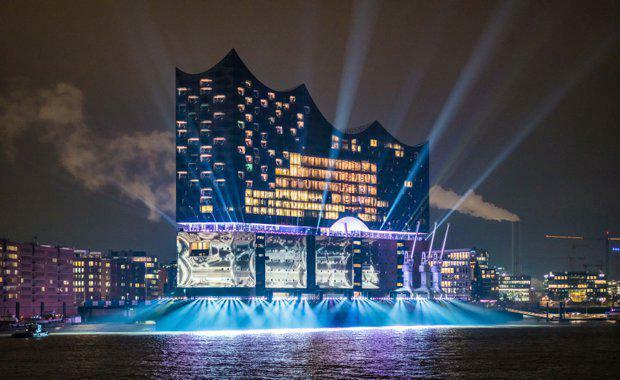 The Elbphilharmonie opened its doors for the first time on 11 January 2017. On the banks of the river Elbe, supported by approximately 1,700 reinforced concrete piles, a modern building complex has emerged. Situated at a height of 50 metres above ground level in a unique location in Hamburg’s historic port, and with seating for 2,100 people, the Elbphilharmonie is the perfect symbiosis of architecture and music. In Februrary 2017, its one millionth visitor was welcomed. The queen of instruments has a complex, multi-layered personality. It takes a huge investment of time before one can get to know the organ and all its stops. 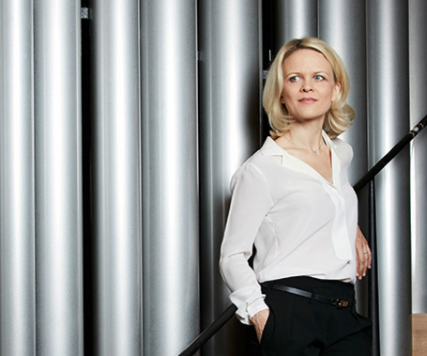 Cathedrals and churches therefore often have their own organists, and the Elbphilharmonie’s organ will be looked after by a renowned artist: Iveta Apkalna. Together with the Elbphilharmonie team, she is currently developing programme ideas for the organ, discussing the instrument’s special characteristics with guest organists, and is of course also performing concerts of her own. Forty-five spacious apartments with glass fronts and balconies offer residents spectacular views of the river Elbe, the harbour and the inner city. 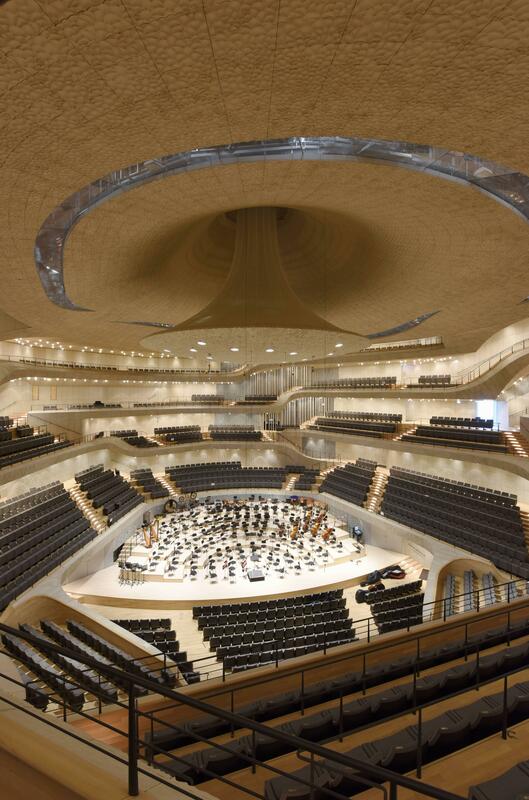 The heart of the Elbphilharmonie: the Grand Hall seats 2,100 guests. The stage for artists and orchestras is situated at the centre of the concert hall and is surrounded by terraced seating. An extensive sound reflector is suspended high above the stage. At a height of 37 metres above ground level, this public viewing platform is open all day long. 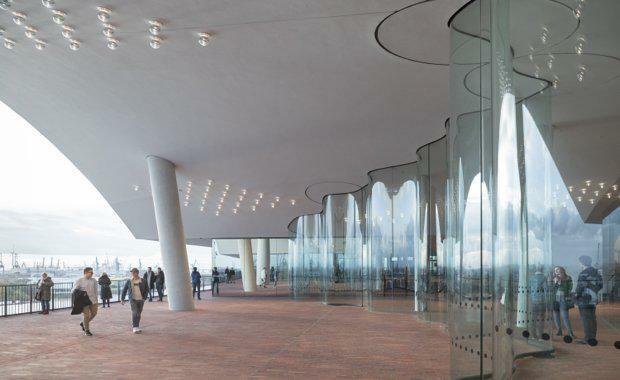 From here, visitors can reach the concert halls, hotel, Elbphilharmonie Shop, Deck and Deli via stairways and lifts. The outer walkway of the Plaza offers visitors a breathtaking panoramic view of the inner city and the harbour. 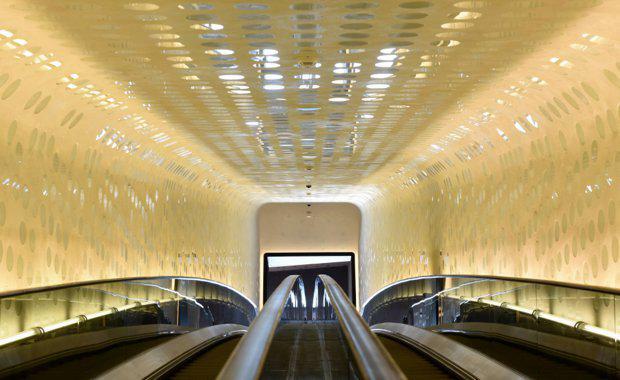 This 82-metre-long, curved escalator begins at the main entrance of the Elbphilharmonie. 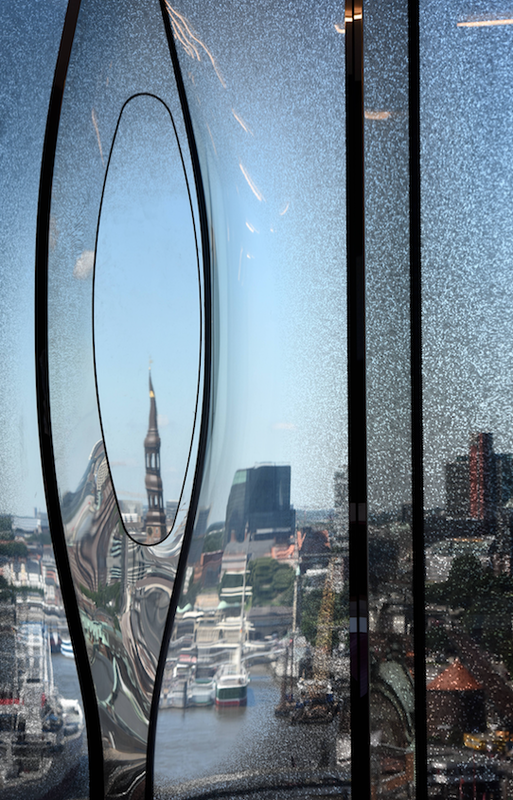 It leads visitors up through the Elbphilharmonie building to a panorama window that offers a spectacular view of the harbour and docks. A second escalator then brings visitors up to the Plaza. 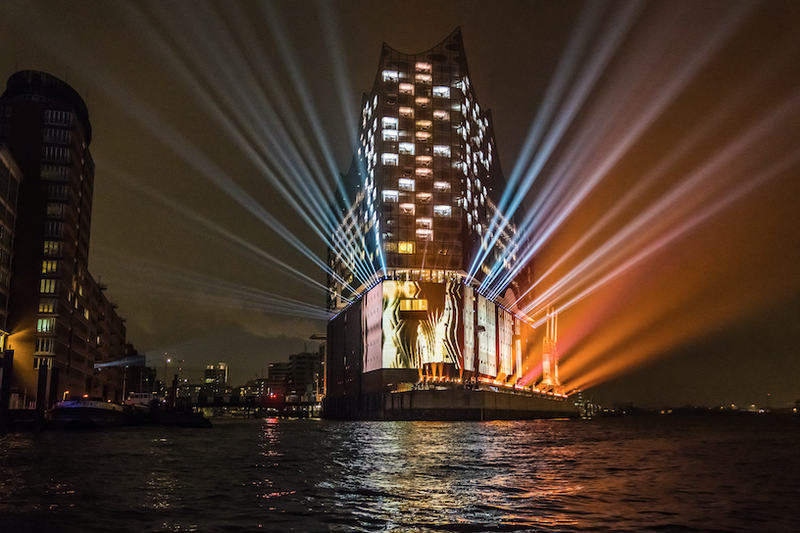 The Elbphilharmonie’s wide-ranging music education programme are housed in the Kaistudios. Located within the base section of the Elbphilharmonie building, Kaistudio 1 has a capacity of 150 seats and is ideal for experimental music, seminars, workshops and rehearsals. The Westin Hamburg hotel is located in the upper east part of the Elbphilharmonie and has 244 guest rooms and suites, a restaurant, bar, spa and event facilities.